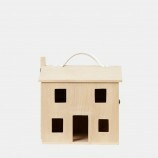 Furnishings, the pieces that really make a house a home. 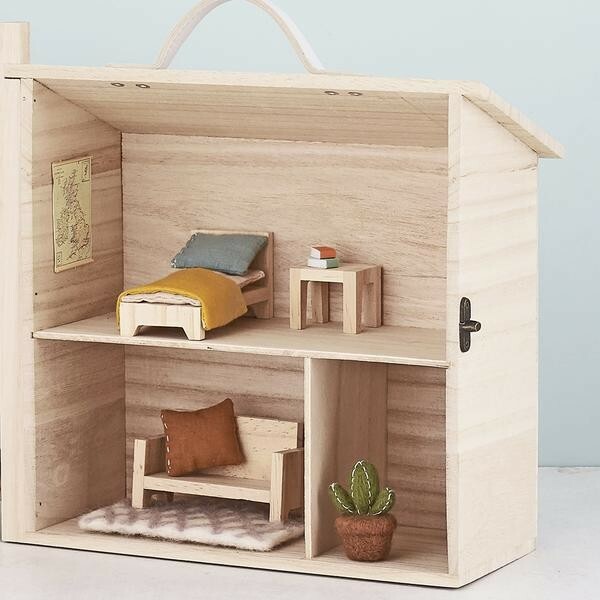 Spruce up your Olli Ella Holdie House with this Olli Ella collection of minimalist timber furniture with linen & felt accessories - every Holdie House will soon feel like a Holdie Home. The living room, the heart of the home. Kick back on a minimalist (but very comfy) timber sofa, with a soft linen cushion. Your dolls' feet will stay toasty warm on a felted rug, and a little felt cactus will add extra warmth to the space. 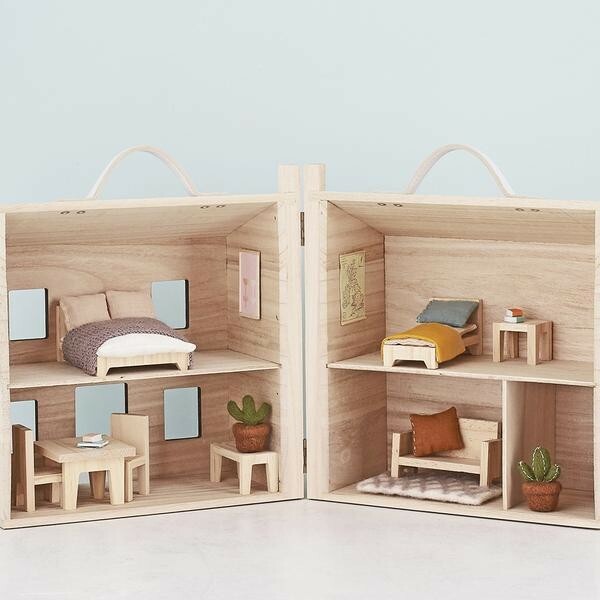 These pieces are so adorable - we wish we could move into the Holdie! 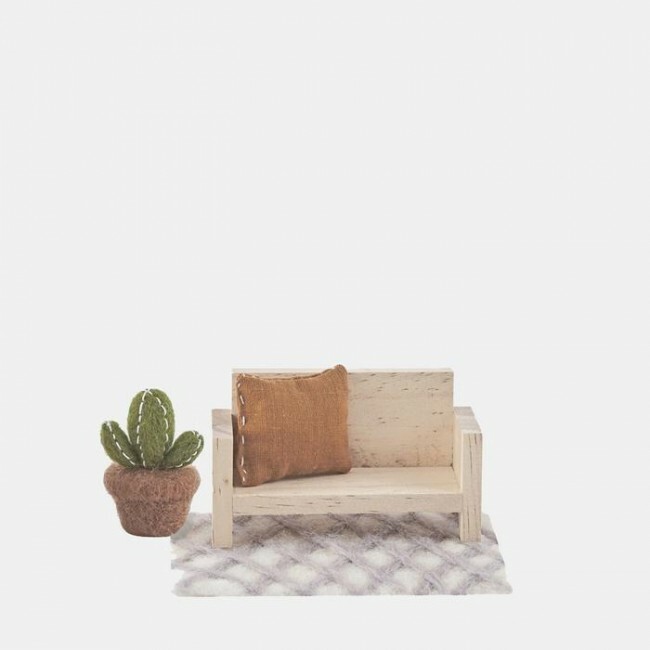 Set includes: 1x timber sofa, 1x soft linen cushion, 1x felted rug and a little cactus to bring some green onto the space.